In his August 28, 2013 Order in the Post-Koken UIM/bad faith case of Zembrzicki v. Allstate Fire & Cas. Ins. Co., 2013 - 475CP(C.P. Susq. Co. 2013 Seamans, J. 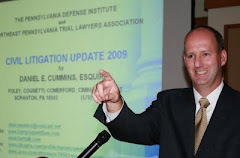 ), President Judge Kenneth W. Seamans of the Susquehanna County Court of Common Pleas granted a UIM carrier's request to sever the UIM claim from a bad faith claim. The court also ruled that discovery in the bad faith claim would be stayed and that the UIM matter would proceed to trial first, followed by the bad faith claim. In so ruling, Judge Seamans, without citing the same, followed the same framework previously set up by Judge R. Stanton Wettick in the Gunn case in Allegheny County which framework has been followed in a number of other counties. Yet, there are some federal trial courts and state trial courts who have ruled otherwise on this troublesome issue. 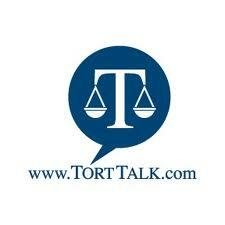 Check out the Post-Koken Scorecard on Tort Talk HERE.